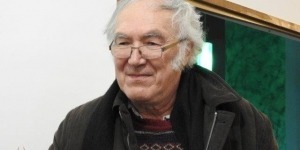 Aleš Berger was born in 1946 in Ljubljana, Slovenia. He graduated in Comparative Literature and French. For thirty years, he was head of the adult translation programme at the Mladinska knjiga publishing house and edited some of the definitive collections of Slovenian publishing. In addition, he has written theatre criticism for various media. He is a prolific translator, particularly from French and Spanish. He writes essays: Omara v kleti (Drawer in the Cellar, 2011), plays: Zmenki (Dates, 2006) and prose: Povzetki (Abstracts, 2016). 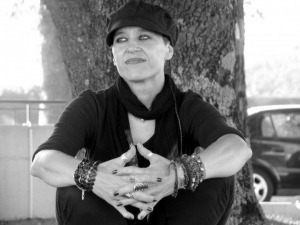 Patricija Dodič was born in 1969 in Koper, Slovenia. She obtained a degree in Slovenian and French from the Faculty of Literature and Philosophy in Trieste. For the past decade, she has been working as a library consultant and head of the Kozina Library, a subsidiary of the Sežana-based Kosovel Library. She is a poet and editor of several poetry almanacs and poetry collections and frequently takes on the role of host at literary evenings. She herself has published four collections of poetry, among them Wada (2014) and Ljubimje (Loveshire, 2015). 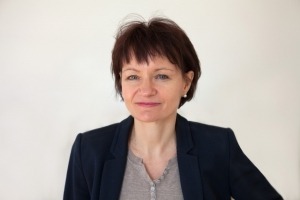 The poet Cvetka Lipuš was born in 1966 in Bad Eisenkappel, Austria. She graduated in Comparative Literature and Slavic Studies from the University of Klagenfurt and obtained a degree in Library and Information Science from the University of Pittsburgh. She writes in Slovene and has authored seven books of poetry, among them: Pragovi dneva (Barriers of Day, 1989), Pojdimo vezat kosti (Let’s Bind Bones, 2008) and Kaj smo, ko smo (What Are We, When We Are, 2015), for which she received the Prešeren Foundation Award, the most prestigious national prize for cultural achievements. Carlos Pascual was born in 1964 in Mexico City, Mexico, and has been living in Slovenia since 2008. He studied film, literature and theatre. 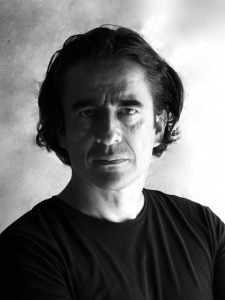 He is the author of the collection of poetry Caída Libre (Free Fall, 1999) and two plays. He has also conceived and produced several films. As he is not a proponent of state subsidies for culture, he completed all of his projects on his own. In 2014, he founded the Pocket Teater Studio and published a collection of essays, titled De sirvientas, tacones altos y oportunidades perdidas (Of Maids, High Heels and Lost Opportunities), in 2015.